At White Mere, we believe reading is a fundamental skill needed to ensure our pupils achieve successfully throughout their lives. It is not simply the decoding of words on a page. It also involves the ability to read with understanding, a wide range of different types of texts including fiction and non-fiction, and real world texts such as labels, captions and lists, and print in the environment. 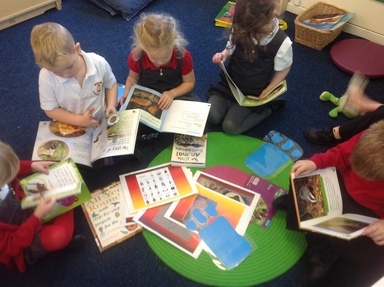 Confidence and enjoyment in reading is key to independent learning, and also has a direct impact upon children’s progress in every area of the curriculum. Therefore the effective teaching of reading and the celebration of reading for enjoyment, throughout our school is a key priority. Please click on the link to download a copy of our Reading Policy.